What is an Expungement in Pennsylvania? Expungement means to purge or remove any information of past criminal charges from law enforcement records or any other official database that may be in possession of the information. In order to have your criminal record expunged, you must file a formal petition with the court in the county where you were charged requesting that the desired records be removed or deleted. Generally, a hearing will be scheduled on your petition to determine if expungement is appropriate and whether the prosecution opposes your petition. If your case is withdrawn by the prosecution, dismissed by the court or you are found not guilty after trial, do not assume that the charges will automatically be removed from your record. While the appropriate disposition will be recorded, evidence of the arrest and the charges will remain on your record and accessible by current or prospective employers, the military and the public to view unless a petition is filed and an order is signed granting expungement. The expungement process has been codified by Pennsylvania law and therefore there is a uniform petition that must be filed in every county across the state. However, this does not mean that every county and/or District Attorney’s Office handles expungements the same. In fact, the contrary seems to be true. While many prosecutors will not oppose expungement under the right circumstances, they each seem to have their own requirements to satisfy and the courts will often not sign the expungement order until the prosecutor’s office is in agreement. Some offices require that you obtain a letter of joinder or a certificate of non-opposition that must be attached to the petition while others will require that a hearing be held even if they are not going to oppose the expungement. Therefore, it is important that you consult with an experienced expungement attorney who is familiar with the local practice so that the petition can be filed correctly the first time and there will be no delays in having the records deleted. Philadelphia expungement attorney Brian M. Fishman has drafted and filed hundreds of expungement petitions in many different counties, including Philadelphia, Montgomery, Delaware, Bucks and Chester counties. In addition, he has filed petitions to expunge juvenile records in these same counties. Am I Eligible for Expungement of My Criminal Charges? Individuals whose criminal charges were dismissed by the court due to a lack of prosecution or lack of evidence or withdrawn or nolle prossed by the District Attorney’s Office prior to trial. Individuals who were found not guilty after a judge or jury trial. Individuals who successfully completed the ARD program by completing the period of pre-trial probation, all terms and conditions of the program and paid all court costs, fines and restitution. Individuals who pled guilty or were found guilty after trial of a summary offense more than five years ago but have not been arrested since. If convicted of the summary offense of underage drinking, one can apply for expungement after they turn twenty-one years old. Similar to ARD, individuals who entered a “no contest” plea under the Section 17 or 18 program of the Drug Act and completed all requirements of the program including drug treatment, payment of fines and costs and any other conditions are eligible for expungement once the charges have been formally withdrawn. What are the Benefits of having My Record Expunged? We all make mistakes whether it is because we were young and foolish or perhaps just at the wrong place at the wrong time. Unfortunately, some result in criminal charges being lodged. But, if those charges are withdrawn or dismissed or you are vindicated with a “not guilty” verdict, they can still impact your future if they remain on your record. If you are seeking a job or your employer runs random background checks, criminal charges that are not expunged will appear on your record and could lead to rejection from a potential employer or termination from a current employer. In this difficult job market, there is enough standing in your way that you do not need evidence of an arrest holding you back. Additionally, Pennsylvania has public internet dockets that anyone can look up. You do not want nosey neighbors, parents of your children’s friends, a military recruiter or anyone else having access to this information if you can have it deleted. Therefore, take the necessary steps to see that eligible charges are removed from your criminal record. Can Any Charges be Expunged Automatically by the Courts? Under most circumstances, proof of an arrest will not be expunged automatically by the court and therefore it is your responsibility to either file an expungement petition or hire an attorney to file one on your behalf. In all counties other than Philadelphia there is no circumstances where expungement is automatic. However, Philadelphia has a few pre-trial diversion programs where one benefit of the program is automatic expungement through the court system without the need to file a formal petition for expungement. If you enter and successfully complete the Small Amount of Marijuana program (also known as the “SAM” program) or the Summary Diversion program, the court will handle the expungement process without the need for any action on your part. However, these are rare instances and it is still your responsibility to follow-up to see that any record of your arrest has been officially removed and deleted. If you enter the Alternative Misdemeanor Program (also known as “AMP” 1 or 2) and complete it, the charges will be withdrawn but you must file your own petition to have your record expunged. You should contact an experienced Philadelphia expungement attorney if you are unsure which diversion program you completed. Finally, you should be aware that evidence of your criminal arrest and charges are not removed on the date the judge signs the order granting expungement. Rather, that record is forwarded by the Clerk of Courts to all of the appropriate parties including local township police, the Philadelphia Police Department, the Pennsylvania State Police, the District Attorney’s Office and the Administrative Office of Pennsylvania Courts. Various staff members from these different agencies must formally cull and remove any history of the record. It can sometimes take more than six months from the date the expungement order is signed for all records of your arrest to be removed. 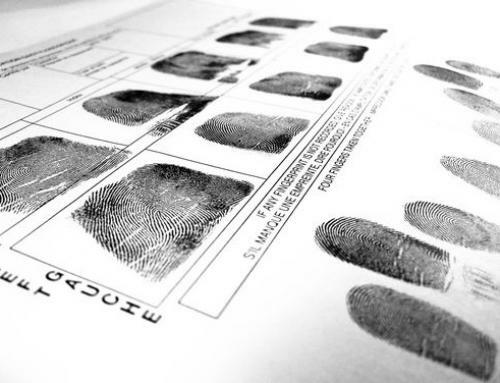 What Should I Do if I Want to File for Expungement? If you or someone you know would like to see if they are eligible to file a petition for expungement, you should contact Brian M. Fishman of The Fishman Firm, LLC and schedule a free consultation with an experienced Philadelphia expungement lawyer. In these cases, consultations can usually be handled over the phone but we can also schedule an office meeting to discuss the matter. Can I Get My Criminal Record Expunged in Pennsylvania?